Pietras J, Stojanović M, Knott R, Pokorný R (2016). Oak sprouts grow better than seedlings under drought stress. iForest 9: 529-535. This study focused on the comparison of two contrasting forest regeneration types and their susceptibility to drought stress. Transpiration and biomass production were studied on young sessile oak trees Quercus petraea (Matt.) Liebl. regenerated as sprouts and seedlings, and grown in a coppice experimental site in the Czech Republic. Biomass production was estimated using destructive methods, while transpiration was derived from sap flow measurements and assessed according to the plant biometry and microclimatic conditions. Sprouts were characterized by a significantly higher diameter, height, leaf area and above-ground biomass and by a lower wood density as compared with seedlings of the same age. Moreover, the sap flow of sprouts was higher than that of seedlings, which was explained by the plant dimension. Transpiration, expressed as sap flow scaled to plant leaf area, did not differ between seedlings and sprouts when soil water was not limiting. However, during drought periods, when soil water potential dropped below -1.4 MPa, sprouts transpired significantly more than seedlings. Our results confirm that sprouts have access to a larger water pool via the old stump root system and are able to draw more water under drought. Moreover, sprouts seemed to be less susceptible to water limitations than seedlings of similar age. Less influence of drought on sprouts may partially explain their higher above-ground biomass production. Based on our results, coppice could be an appropriate management system to be adopted in sites characterized by frequent or extreme drought periods. Crop evapotranspiration - Guidelines for computing crop water requirements. Irrigation and drainage paper 56, UN-FAO, Rome, Italy, pp. 333. Species-specific water use by forest tree species: From the tree to the stand. Agricultural Water Management 114: 67-77. Plant responses to drought stress: from morphological to molecular features. Springer, Heidelberg New York Dordrecht London, pp. 466. Tree water dynamics non-destructively assessed through sap flow measurements and potential evapotranspiration. Biologia Plantarum 54 (2): 366-368. Ecology of sprouting in woody plants: the persistence niche. Trends in Ecology and Evolution 16 (1): 45-51. Field comparison of transpiration, stomatal conductance and vulnerability to cavitation of Quercus petraea and Quercus robur under water stress. Annals of Forest Science 50: 571-582. Growth of cotton under continuous salinity stress: influence on allocation pattern, stomatal and non-stomatal components of photosynthesis and dissipation of excess light energy. Planta 187: 335-347. Sap flow measurements with some thermodynamic methods, flow integration within trees and scaling up from sample trees to entire forest stands. Trees 18: 529-546. Gas exchange and sap flow measurements of willow trees in short-rotation forest. II. Diurnal and seasonal variations of stomatal response and water use efficiency. In: “Sap flow, transpiration and water use efficiency of spruce and willow in relation to climatic factors”. Dissertation, Swedish University of Agricultural Sciences Department of Ecology and Environmental Research, Uppsala, Sweden, pp. 13. Effects of irrigation and coppicing on above-ground growth, physiology and fine-root dynamics of two field-grown hybrid poplar clones. Forest Ecology and Management 8: 163-174. Oak growth, development and carbon metabolism in response to water stress. Annals of Forest Science 53: 181-196. Water use and water-use efficiency of coppice and seedling Eucalyptus globulus Labill. : a comparison of stand-scale water balance components. Plant and Soil 350 (1-2): 221-235. Plant drought stress: effects, mechanisms and management. Agronomy for Sustainable Development 29: 185-212. Modele matematico-auxologice si tabele de productie pentru arborete [Mathematic-auxologic models and yield tables for forest stands]. Ceres Publishing House, Bucharest, Romania, pp. 607. Plant responses to water stress. Annual Review of Plant Physiology and Plant Molecular Biology 24: 519-570. Biodiversity and target management of endangered and protected species in coppices and coppices-with-standards included in system of Natura 2000. Methodology of establishment of experimental research plots in the conversion to coppice and coppice-with-standards and their description. Mendel University, Brno, Czech Republic, pp. 57. Physiological plant ecology (4th edn). Springer-Verlag, Berlin, Heidelberg, New York, pp. 517. Sap flow by the heat-balance method applied to small-size Salix trees in a short-rotation forest. Biomass and Bioenergy 8: 7-15. Establishment of co-existing Mediterranean tree species under a varying soil moisture regime. Journal of Vegetation Science 15 (2): 237-244. Responses of ground flora to coppice management in English woodland - A study using permanent quadrants. Biodiversity and Conservation 11: 1773-1789. Silvicultural systems. Oxford University Press, Boston, MS, USA, pp. 296. Mechanisms linking drought, hydraulics, carbon metabolism, and vegetation mortality. Plant Physiology 155 (3): 1051-1059. Recovery responses of photosynthesis, transpiration, and stomatal conductance in kidney bean following drought stress. Environmental and Experimental Botany 53 (2): 205-214. Stress-induced variation in leaf gas exchange and chlorophyll a fluorescence in Callistemon plants. Research Journal of Biological Sciences 4: 913-921. Evaluation of transpiration in adult apricot trees from sap flow measurements. Agricultural Water Management 72: 131-145. Is coppice a potential for urban forestry? The social perspective. Urban Forestry and Urban Greening 7 (2): 129-138. Physiological responses of beech and sessile oak in a natural mixed stand during a dry summer. Annals of Botany 89 (6): 723-730. Slope stabilization and erosion control: a bioengineering approach. Taylor and Francis Ltd., London, UK, pp. 274. Tree responses to drought. Tree Physiology 31 (3): 237-239. Gas exchange and water relations. In: “Ecology of Mediterranean evergreen oak forests” (Rodà F, Retana J Gracia CA, Bellot J eds). Series Ecological Studies, vol. 137, Springer-Verlag, Berlin, Germany, pp. 135-147. Influence of soil water regime on nutrient mobility and uptake by Dalbergia sissoo seedlings. Journal of Tropical Ecology 45 (2): 337-340. Morphological and physiological responses of oak seedlings (Quercus petraea and Q. robur) to moderate drought. Annals of Forest Science 57: 325-333. Changes in precipitation with climate change. Climate Research 47: 123-138. KNMI Climate Explorer: a web-based research tool for high-resolution paleoclimatology. 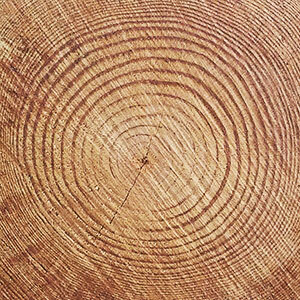 Tree-Ring Research 69: 3-13. Diverging effect of overstorey conversion scenarios on the underground vegetation in a former coppice-with-standards forest. Forest Ecology and Management 256: 519-528. The efficacy and potential risks of controlling sprouting in Finnish birches (Betula spp.) with the fungal decomposer Chondrostereum purpureum. Dissertationes Forestales 93, Finnish Society of Forest Science, Natural Resources Institute Finland, University of Helsinki, University of Eastern Finland, Finland, pp. 31. Quantifying above- and below-ground growth responses of the western Australian oil mallee, Eucalyptus kochii subsp plenissima, to contrasting decapitation regimes. Annals of Botany 90: 185-197.